ROME (Reuters) – Italy’s economy minister is studying possible measures to support the country’s banks if needed, a government source said on Monday, in a sign of concern within the ruling coalition over the impact on lenders of rising debt yields. 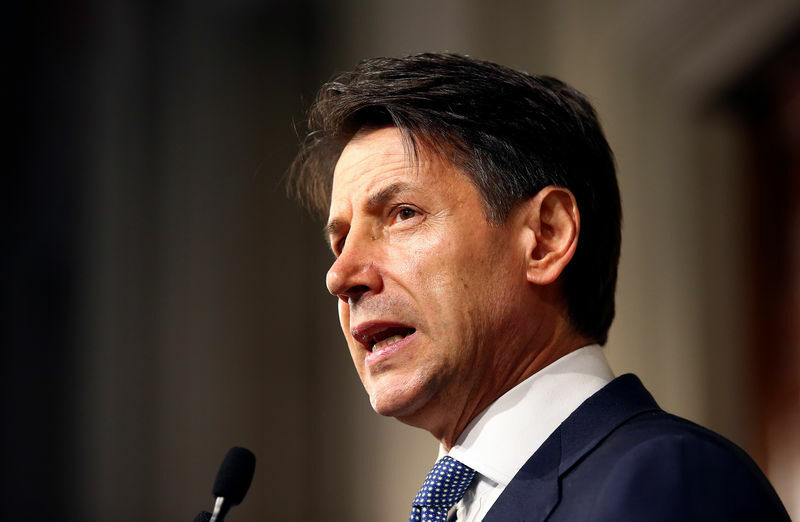 The source said Prime Minister Giuseppe Conte had asked Economy Minister Giovanni Tria to prepare possible measures for helping banks if needed. The anti-establishment 5-Star movement, which governs with the right-wing League party, is opposed to using public money to strengthen the capital of ailing banks, the source said. The source added that 5-Star is “open to providing guarantee schemes aimed at helping bank mergers”. It was not clear what kind of state guarantees the government might be considering and whether any such measure would be in line with EU state aid rules. Italian daily Corriere della Sera reported on Monday that the government was ready to support domestic banks with loans, state guarantees and other measures, should the spread between Italian and German government bonds rose to unsustainable levels.